We are your # 1 source for artificial fruits vegetables and artificial food items. 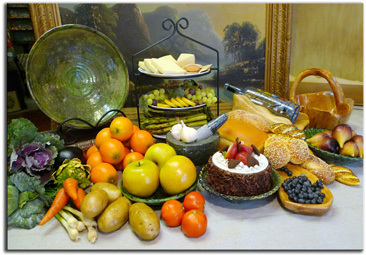 We also have a nice selection of food display and home decor items. Volume discount pricing is available so please check out our online catalog and feel free to contact us at any time toll free with your questions and inquiries. For Wholesale Pricing and Info Please Click here.